Study and hear teaching and preaching from the very words of Jesus in the four gospel accounts of His life. Hearing teaching and preaching is a very good way to enrich your spiritual life, but THERE IS NO SUBSTITUTE for reading the Bible yourself. Study and hear teaching and preaching from the letters of Paul and the other letter writers of the New Testament. Once again, there is no substitute for reading and studying the Bible yourself. It's difficult to single out any one, or even a few, of Jesus' teachings as the best or most important to read. The Sermon on the Mount (in which He teaches ideas called The Beatitudes - Matthew 5 and Luke 6) is perhaps the passage that most people are familiar with, if they know any of Jesus' teachings at all, but I am especially fond of a passage in the book of John. After his dramatic conversion, Paul of Tarsus was both a preacher who reached many for Christ and a prolific writer. In his first letter to the followers of Jesus who lived in Corinth (Greece), he outlined a pattern for selflessness that is a model for the Christ-like life. 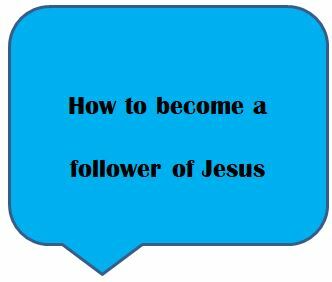 Jesus taught us, and all of the letters of the apostles affirm, that we can expect to have problems in our lives; becoming a follower of Jesus is not a shield from the troubles people face in life. In the book of James, however, we are given a new way to look at our problems. They can be great opportunities for growth. James 1:2-4 - Rejoice in your troubles! The apostle Peter wrote two letters that are collected in the New Testament. In the second letter, he outlines a pattern and a progression of growing in our faith in God.